Paying insurance is generally one of those payments that people least want to make. Why? Simple. It requires us to pay for eventualities that we hope will never happen. With some insurance it’s illegal for you not to have it e.g. motor, but with respect to other types such as life, home or medical insurance , it will probably help prevent a lot of worry and sleepless nights. Despite most insurances not being compulsory, it would be unwise for them to be ignored completely. Buying insurance should always be considered, but only if brings the right benefits to you and also comes with the right amount of cover and at the right price. The concept of insurance is very straight-forward. In basic terms, you pay an insurance company an amount of money, usually called a premium, in exchange of them agreeing to reimburse any costs you incur resulting from a specified event occurring. For example, the insurance company could agree to a pay you back an agreed sum should your house experience flood damage. The insurance company uses statistics to predict in percentage terms the likelihood of this specific event happening, which will then be used to establish a premium that you have to pay. Because the majority of people with insurance policies never experience such an event, the insurance company tends to make huge profits which off-sets the occasional costly claims. Insurance companies minimise their losses by carefully managing their risks. They do this by varying the cost of premiums based on their perceived risk of your particular case- this is what’s known as underwriting. So if for example, you live in an high risk flood area, your premium is likely to be much higher than someone who lives in an area where the risk of flooding is low. Another way where insurance companies try to increase their profits is by investing a portion of your premium. Because only a small amount of money from your premium is likely to be paid out to cover claims, it allows the company to invest the remainder of the money. However, they always need to ensure they retain a sufficient amount of funds in the event of a claim being made. Most insurance policies also include an ‘excess’ payment. This excess payment is a fixed amount that you the policy holder will have to pay in the event of a claim. For example, if you had an excess of £250 and your claim was for a £1,000 then the insurance company will cover £750 and you will have to stump up £250. Excess payments are put in place to discourage policy-holders making excessive and fraudulent claims. Charging an excess also allows insurance companies to lower the costs of their premiums, so making them more affordable to customers. Insurance is available for a wide range of situations. Basically, anything that could potentially be lost or damaged can be insured in some way. – Insurance that covers an individual in the event they become ill or die. These include- Life Insurance, Critical Illness Insurance, Income Protection Insurance, Private Medical Insurance and Travel Insurance. – Insurance that covers your personal belongings. 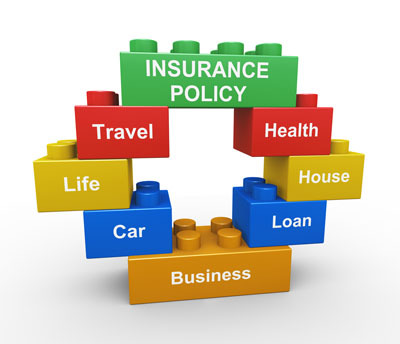 These include- Home Insurance, Car Insurance and Travel Insurance. What Insurance Is Right For Me? Obviously, having cover against everything that could possibly go wrong would be the ideal scenario, as it then alleviates all the financial worries that individuals face in the event of bad things happening. However the costs could be restrictive. This being the case, it’s important to establish what insurance is deemed as necessary but at the same time is affordable. – Are you already covered- e.g. some workers are already covered against death or illness by their employers. – Consider the worst case scenarios, and assess how you and your family would be able to deal with the financial implications if you did not have insurance. – Would delaying taking out insurance cover result in your premiums increasing. Some types of insurance allow you to select specific levels of cover i.e. Life and home insurance, while others provide a level of cover that’s decided in advance i.e. travel and medical insurance Whatever insurance cover is chosen it’s very important you get the balance right, i.e. you are not paying for extra cover you don’t necessarily need, but at the same time you don’t want to run the risk of being uninsured. As with all insurance policies it’s important to know what is and what isn’t covered. Policies vary from company to company; therefore avoid making the assumption that because one company covers a particular item the others do also. Ordinarily, the policy holder will have to pay a percentage of the claim themselves i.e. excess. It’s advisable therefore to check how much this is, because a high ‘excess’ could prevent the policy holder from making smaller claims and so diminishing the benefits of the policy. With the multitude of offers now available to purchase insurance, it’s really worth while to shop around for the best available deals. Be mindful however, that the cheapest premiums don’t necessarily signify that it’s the best deal. It’s important when comparing policies, not just to check the cost of covers but also things like the level and scope of cover, plus the policy excess. Brokers– Theoretically, brokers scour the marketplace to ensure they find you the best deal possible minus all the time, hassle and unnecessary costs on your part. However, this isn’t always the case. Generally, all brokers receive varying levels of commissions from insurance companies for selling their policies. Such a situation can lend itself to brokers guiding your business towards companies who pay the most commissions. Comparison Websites– These are the online version of a broker. These websites produce an unbiased list of quotes from a number of insurers, making it easy for you to compare the best deals for you. It’s worth noting that no advice is giving at any stage. Financial Advisers– Advisers usually advise on insurance policies that are more related to health. If you wish to have some help and guidance on purchasing income protection, critical illness or private medical insurance then it will be worth you while seeking the advice of a qualified financial adviser. N.B. Whenever you purchase insurance whether online, over the phone or through an adviser, you usually have 14 days to cancel your policy. If you do buy insurance and then you have a change of heart or you don’t think it is suitable, then make sure you check the terms and conditions of the policy to see if you are able to cancel. The reasons for this happening could be because you don’t have a sufficient level of cover on your policy, or your insurer feels your claim is excessive in relation to your actual losses. In the case of the latter, it may be possible for you to negotiate with the insurer provided you can prove your claim is accurate. Your insurer can do this if the claim you are making is not specifically covered within the policy, you’ve breached conditions with the policy or you have not kept up premium payments. If for any reason you feel the insurance company is acting unfairly, then you first should send them a formal complaint, and then if you fail to have a satisfactory outcome, you should then take your complaint to the Financial Ombudsmen Service.